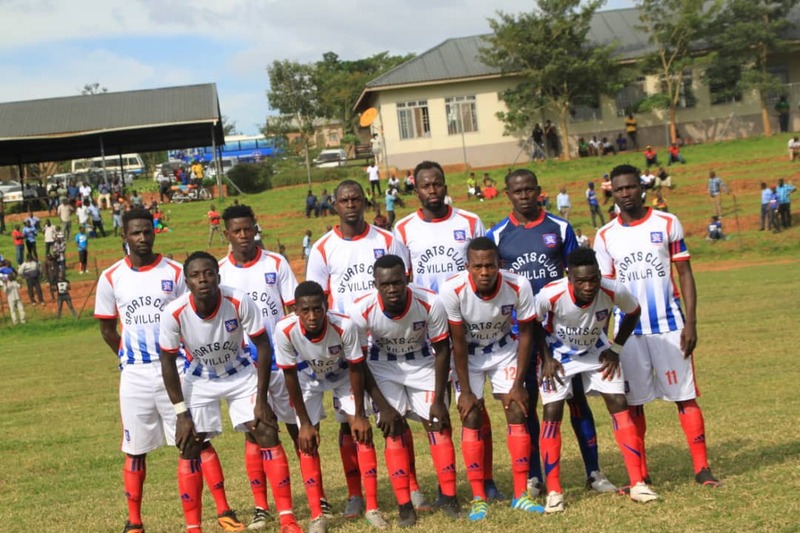 NAMBOOLE – SC Villa will be hoping they can make it two wins on the trot when they host Maroons at the Mandela National Stadium in Namboole on Thursday afternoon. After going 8 games minus victory since the start of the season, the Jogoos registered their first win in their last game away to Nyamityobora and should go into the game confident that a second is very much possible against a Maroons side that has also been struggling since the start of the season. The Luzira based side currently sits a point behind Villa and have already lost 5 of their 9 games this campaign. Coming up against them will not be easy as quoted from current Villa coach, Douglas Bamweyana. “It is not going to be an easy game as Maroons are also desperate for points, said Bamweyana ahead of the game. “We know they have got some good players but i am optimistic and positive that we can win the game especially after registering our first victory in the last fixture. “I watched them against KCCA and i think by the sound of the final whistle, we will have three points. SC Villa will go into the game missing several players. Albert Mugisa is out suspended after accumulating three yellow cards. Brian Bwete and Savio Kabugo are out due to injury while Samson Kirya and Joseph Nusbuga are long time absentees. The only good news from the treatment room is that Samuel Kivumbi has shaked off a knock and will be expected to start in-between the sticks for the Jogoos. This will be the 9th meeting between the two sides since 2011. In the 8 fixtures in that period, Villa have not lost to Maroons, winning 3 and drawing the other 5. Last season, the two sides played out draws in their games including a 0-0 stalemate in the reverse fixture. Villa head into the game with only one win from their last 15 games in all competitions (D7 L7). In the league, the Jogoos have won one in their last 13 (D6 L6). The victory came in their last encounter away to Nyamityobora (1-0). At home, Bamweyana’s side are winless in their last 5 (D1 L4). For Maroons, they head into Thursday’s fixture with only one win in their last 19 league games (D10 L8). Away from home, they are currently winless in 9 (D6 L3). Their last victory on the road was a 2-1 win away to Mbarara City in March.